Here we come with information about amazing savings available at U.S. bebe online. 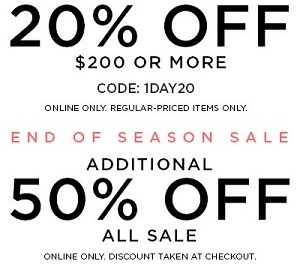 Take 20% off your full priced purchase of $200 or more. Use the promotion code 1DAY20 at checkout. Or, take an extra 50% off all sale styles. Offer is valid until July 10, 2017. Source of the information is U.S. bebe. For more details visit U.S. bebe online.